Are all 80% efficient gas furnaces entry-level or builder’s grade models? Absolutely not! Units like the American Standard Platinum SV Freedom 80 gas furnace offer comfort features that make any home more comfortable such as 2-stage heating and a variable speed fan. Ellyn in Blue Ridge, Georgia shares her American Standard Platinum SV Freedom 80 Comfort-R™ Variable-Speed Communicating furnace price with us and details many of its finer points. “Thanks for your site. It was helpful to me as I researched gas furnace prices before our recent purchase. In the end we chose an American Standard furnace and since you don’t have a price for this model yet I thought I’d share ours. We were attracted to the furnace because it has features that most 80% efficient models we priced don’t have. The quotes we got for other furnaces were less, but they were generally for single-stage furnaces with single speed fans. It seemed like 2 of the sales people we talked to wanted to sell us very basic furnaces when we told them we wanted an 80% model, and to get better features we had to buy a 90% model or higher. Down here we just don’t need a high efficiency furnace because of how little we heat. And we cool our house with a whole-house attic fan and the breezes that always seem to be blowing in the hills where we live. We were simply looking for a high-quality furnace that will keep the house consistently comfortable in the couple of months it gets a lot of use. 80% AFUE efficiency will use less energy than many older furnaces. 2-stage heating for great comfort and efficiency. The furnace runs at 65% capacity about 80% of the time. Variable speed fan is quiet and uses less energy when running on lower speeds. Comfort-R technology enhances humidity control in warm weather. AccuLink coordinates all HVAC components when they are installed together as part of a complete system. Five size options from 48K Btu to 111K Btu output. Downflow/horizontal and Upflow/horizontal furnaces available. We appreciate all the HVAC prices we get and add them to our archives. 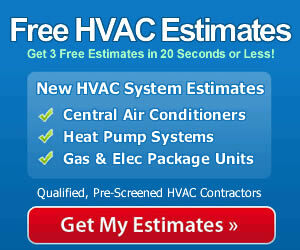 We hope you’ll find these prices to be of assistance as you plan your next HVAC purchase. And when you do make your selection, we recommend having a qualified contractor do the installation so that you can be assured it will perform properly and safely. Professional installation also guarantees that the warranty will be honored if the furnace needs to be repaired while it is still covered.